Mobile strategy push by Apple - it's the free one that counts! 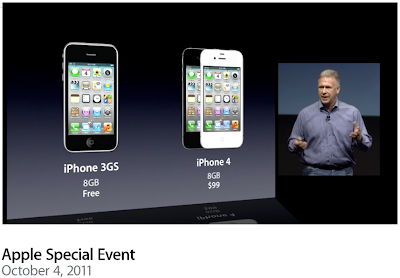 There's been a lot of talk of "disappointment" at Apple's announcement yesterday of the souped-up iPhone4s. Industry watchers and punters alike were of course holding their breath for the mythical iPhone5. Apple's premium products have not 'til now been considered accessible enough to ruffle the cheap Android market. The free iPhone 3Gs could well be the thing that does it, bringing a boatload more users into Apple's smartphone bracket that otherwise could not afford, but would have preferred, Apple. The swelling of users on the platform is a good thing for the mobile sales potential for hotels through platforms such as Bookassist's web app which is already representing over 5% of reservations through Bookassist systems. Share: Mobile strategy push by Apple - it's the free one that counts! We all love a great deal or bargain and the higher the discount the better. Gone are the days where 10% off a gym membership or 15% off a meal for 2 in a city centre restaurant will whet the appetite. Today people are hungry for more deals with bigger discounts and deals offering in excess of 50% are just a click away, thanks to the rise of group buying and daily deal websites. There is a lot of hype surrounding sites such as Groupon and Livingsocial, the big two globally, and many believe that they are fundamentally changing the way that we purchase goods or services online. In Ireland there are other more local companies who have entered the market, all of whom bombard our inboxes (if we sign up) with daily deals selling anything from spa treatments to tickets to top visitor attractions. It’s worth remembering that there is nothing really new or innovative about group selling or daily deals, they’ve been around in some guise for a very long time, though their move into accommodation is more recent. But the one key thing that is new is that they have been able to leverage their popularity on social media sites through people sharing their deals amongst their own connections. As a result of tapping into the social media phenomenon, these sites are growing and growing fast and millions of dollars have been invested into these companies. Let’s look at where the whole concept or idea of coupons or vouchers with discounts started. It is widely believed that as far back as 1887 Coca-Cola invented the first coupon. Coupons offering complimentary glasses of Coca-Cola were mailed to potential customers around the United States. Between 1894 and 1913 over 8.5 million free drinks were redeemed. This particular advertising technique certainly put Coca-Cola on the map. During the 1930s and the Great Depression, coupons and their usage grew. By the late 1930s, supermarkets began opening up in most major cities across the United States. However they struggled to bring in customers, most of whom at the time preferred to shop locally. As a result, the larger supermarkets turned to “coupons” in an attempt to lure loyal customers away from their local shops and into the bright lights of larger supermarkets. Fast forward to today and the internet and social media explosion have been the big drivers of huge growth and success of the group buying and daily deal sites. Whether you’re looking for a hefty discount off a 3 course meal in a top city restaurant or a weekend break away in a luxurious castle, the chances are you’ll be able to find one. Offers such as these don’t come around every day and you have to act fast. It’s creating this sense of immediacy that has also driven vouchers sales and smart marketers are tapping into the whole area of so-called “Flash Sales”. Again, there is nothing new or novel about selling items for a limited time only. The idea of flash sales is fairly straightforward and it’s a selling technique that has been used over the years by many companies to sell distressed inventory or stock. Even Volkswagen decided to dip their toes in the water by teaming up with Gilt.com, an e-commerce company who specialise in flash sales. In the US, Volkswagen recently offered 3 Jetta Sedans for $5,995 (normal Retail price $15,995). The offer was only accessible through mobile applications on iPhone, iPad and Android devices. If you were one of the lucky ones, you walked away with a brand new car for less than $6,000. For everyone else that entered, there was a consolation prize of a voucher that could be redeemed in one of Volkswagens dealerships. This form of marketing created over 55,000 qualified leads for Volkswagen and in addition to that it generated huge PR for the company, for a three-car discount totalling $30,000 off the recommended retail price. So apart from trying to sell stressed inventory or stock, flash sales may be a good way to create some “buzz” about a new product and to gather qualified contact details, and it’s for this reason that the once-off approach of flash sales may prove to be more attractive for luxury brands than participating in group buying sites or daily deal sites on a more regular basis. In terms of the travel industry we have recently seen moves by some OTAs such as Booking.com, Expedia and Orbitz beginning to move into flash sales. In June 2011 Groupon and Expedia shook hands to launch a new travel deals product. For both companies it makes sense as they now have one of the largest customer databases available with an extensive product offering as well as a truly global presence. Higher costs: Hotels that normally sell rooms at, say, €100 would have to discount down to €50 and then from the €50 give €25 to Groupon & Expedia. This equates to 75% discount off normal rates, and is clearly not a sustainable revenue model. It is however a viable short term marketing spend if used wisely, but the total advantage needs to be carefully scrutinised. Loss of revenue: Regular customers who would have bought anyway at regular price may switch to coupons, a loss that’s hard to quantify but could be significant in the overall scheme. Displacement: How many customers that would have paid full price cannot now buy because the rooms are already sold to coupon buyers? Revenue management issues: As with most daily deal sites, it’s difficult for hotels to use blackout dates or restrict offer to certain dates. Forrester feels that because of this lack of control over inventory this may place huge strain on accommodation providers’ revenue management models if they partake in deals too much. Negative impact on online distribution: To redeem the vouchers, buyers will have to call to book and for most accommodation providers moving business away from online to offline is not the preferred choice as it reduces the potential for lower cost repeat business online. Reliance: Hotels many years ago used OTAs to get extra occupancy, but became increasingly reliant on them, with many now over reliant on this high-cost channel. Likewise, in the recent recession, deep discounting was practiced as a quick cash earner but hotels became reliant on those price points and have found it hard to raise rates. The danger now is potential reliance on flash sales as a salve when things are not looking great, leading to a reliance on them and their high costs. In effect, this is fast becoming another distribution channel but with far bigger discounts and much higher pressure on price, especially at a time where most hotels are fighting hard to protect their rate and more importantly protect their own online brand. Hotels and other travel suppliers must tread carefully if they are considering using flash sales sites or group buying sites. While they may on the surface appear to provide extensive advertising for a new businesses or new products, the reality is that they may not generate revenue for everyone. Research carried out by Rice University in the US on 150 business across 19 cities and 13 product categories that ran a deal on a daily site found that 66% were profitable, 34% were unprofitable. Interestingly, over 40% of the business said that they wouldn’t run a daily deal again. 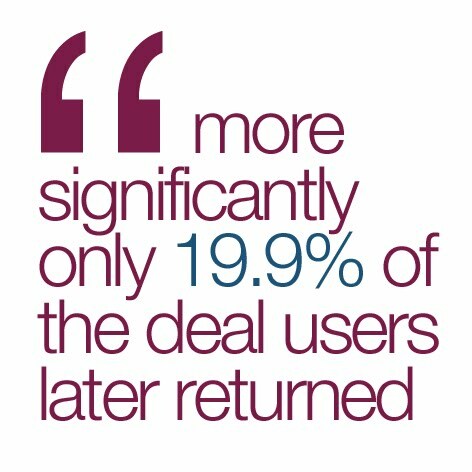 According to the same research 80% of those who purchased vouchers were new clients and more significantly only 19.9% of the deal users later returned for full price purchases, showing little loyalty. Statistics and facts aside, there is a battle being currently fought and there’s only room for one winner. If you are thinking of using a flash sale or daily deal site consider the following tips before you do the full cost calculation. Do you really need it? It can be a good advertising opportunity, but it does associate you with discounting, which can be a turn off for existing loyal customers. So think long and hard about the overall impact. Try to stagger your deal: Instead of giving away €60 worth of food for €30 for 1 visit, why not look at doing €20 for €10 but over 3 visits. Create a specialised and clearly differentiated package: Avoid creating similar offers with your normal services so that this is clearly a one-off special. Don’t cannibalize your existing base: Don’t forget about your existing client base. Reward these guests first before jumping into a deal. Offer additional service instead of a product: Offering a service is less costly than offering a product. Put a limit on the number of vouchers that can be sold: There’s no such thing as too much business but in this case there may be. Your inability to provide the product or service may result in hundreds of complaints or reviews and worse still these complaints/reviews may appear online. Focus on upselling and repeat business: Ensure that you have a plan of action for people who do arrive with a voucher on how to upsell other products or services and ensure you get these buyers back again in the future at regular price. Loyalty is difficult to develop in discount users. Build your marketing database: Collect as much data as you can from the people who purchase the vouchers, especially email addresses, for future marketing. Are you marketing properly anyway? If you are, this is valuable data to pay for. If you are not, this is less valuable than you might think. "The Math of Daily Deals"
"Doing the math on a daily deal"
Share: Daily Deals Sites - Worth The Risk For Sellers?